We often talk about what a privilege it is to be wedding photographers; to capture the story of such a special and personal occasion. It might sound clichéd, but it’s true. For me, documenting this story generally begins early, in the morning, with the arrival of the hair and makeup artist. 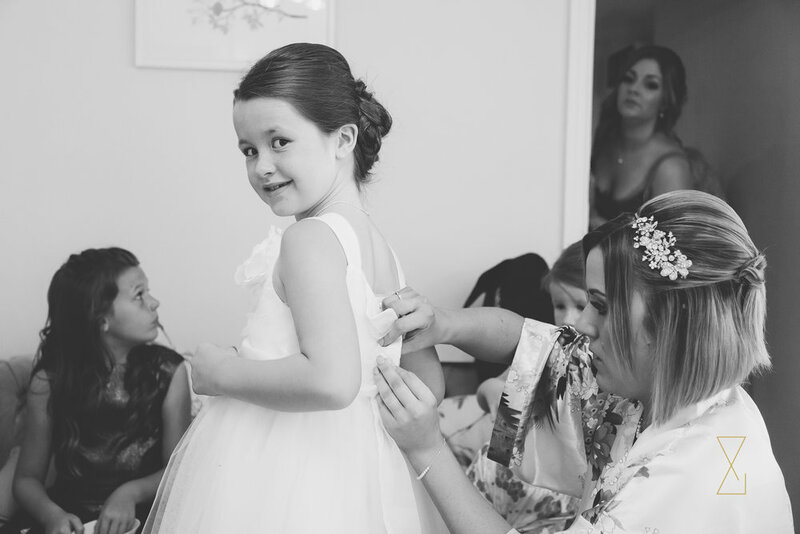 To be invited into the bride’s personal space, often a bridal suite, is indeed a privilege. There’s nothing quite like capturing this time with the girls in the morning – it’s wonderful, relaxed (most of the time!) and fun. It’s also often emotional, and full of excited anticipation, setting the tone for the day – I’d go so far as to say it’s my favourite time of the day to be behind the camera. Whilst I will have already met the bride by the time the wedding day comes around, I won’t have met her bridesmaids, or other female members of the family. This time spent with them in the morning helps everyone to feel at ease with me walking around with a camera, so much so that after a short while they often forget I’m there. I find that this helps everyone, throughout the rest of the day, relax and not feel conscious of the camera. Occasionally in the morning it’s just me and the bride, which makes the setting even more personal, and a great opportunity for us to get to know each other better. 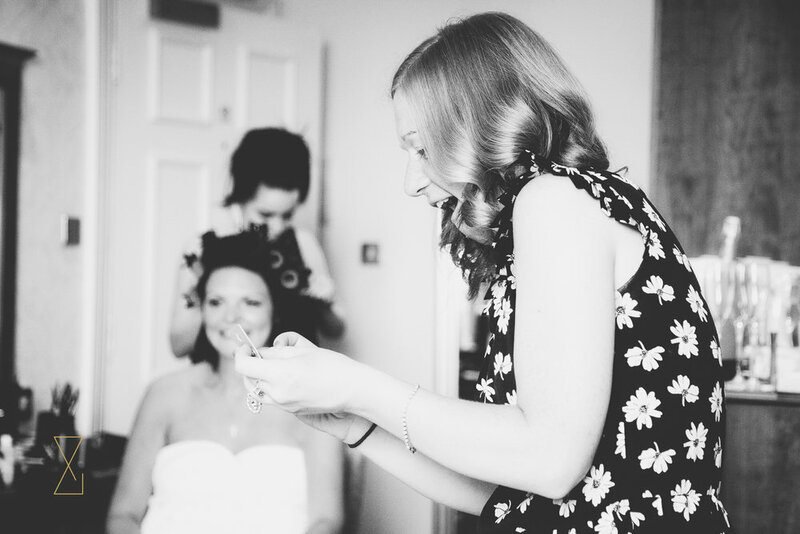 On occasions like this, I often end up wearing more than my photographer’s hat – I’ve helped more than one bride into her wedding dress! Other times there will be literally a dozen or more ladies squeezed into a room, all frenzied excitement and a small degree of chaos and panic dampened by the flowing prosecco. Those are the times that I find myself tripping over shoes, avoiding collisions with small children, and generally trying not to get in the way! 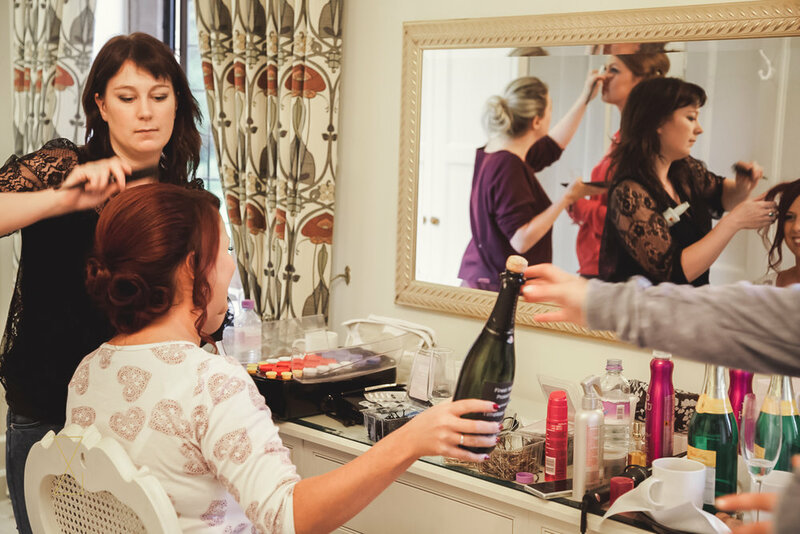 But whether the atmosphere is quietly intimate, or buzzing, there’s a simple truth: getting ready has to be one of the best parts of a wedding day. A time for the girls to get together, get pampered – the ultimate girly hang out. 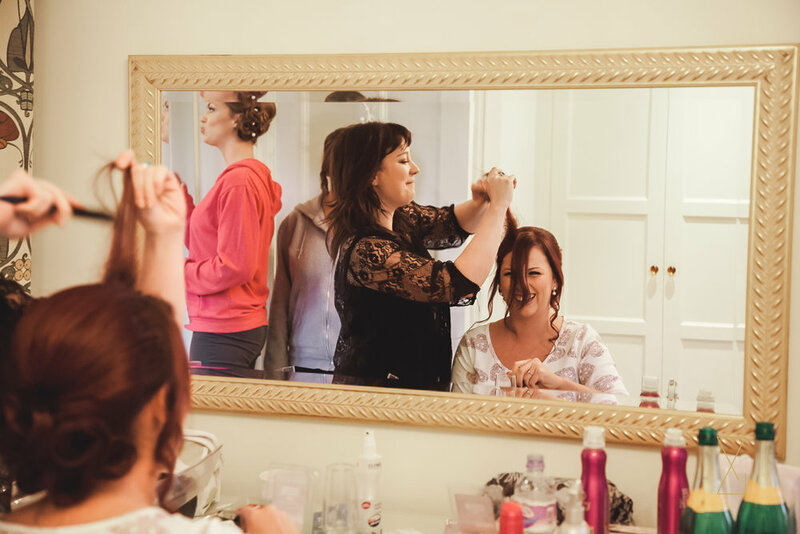 As their photographer, I get to document it all – the transformations, the laughter, the tears, the dress reveal… and what a wonderful story it tells. 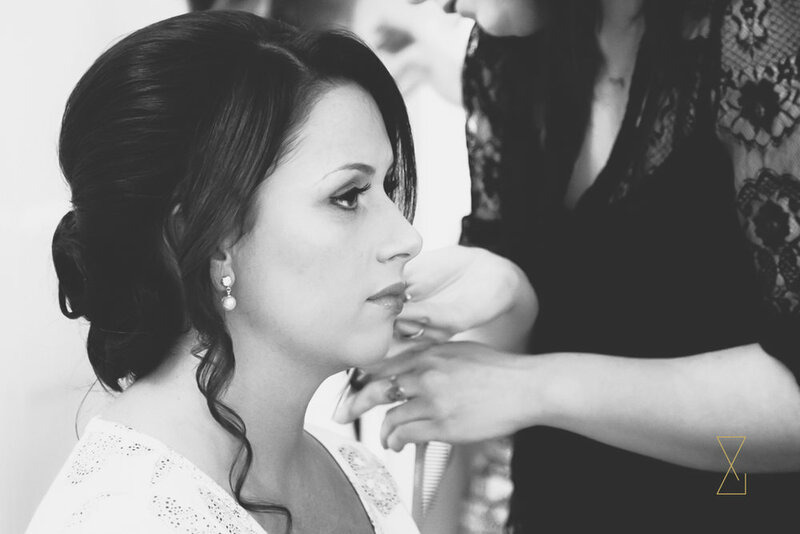 We’ve heard on too many occasions, “I wish I’d had my bridal prep photographed.” It’s such a big part of the whole day, in itself taking so much planning, and yet only a handful of people actually see it. Like the ceremony, it’s a part of the day that deserves recording in all its glorious detail. After all, you only do this once!